Korea's Famous KISS THE TIRAMISU is coming to M'sia 😍😍😍 !!! 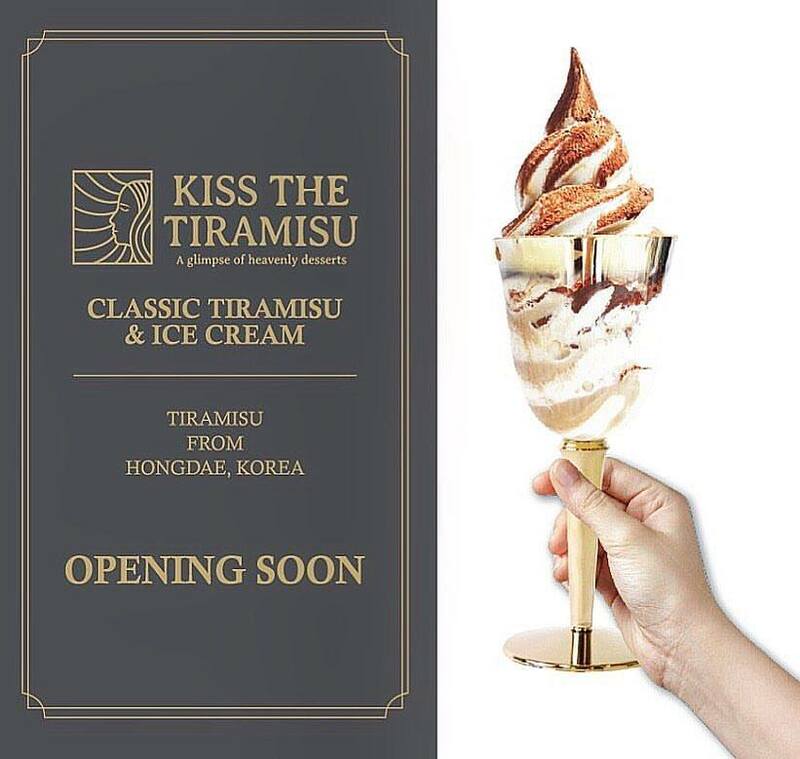 Korea's famous Tiramisu soft serve ice cream that's so in demand is coming to Malaysia this August! Be prepared to enjoy one of the hottest desserts in Korea where patrons are flocking them daily just to enjoy the best smooth and creamy Tiramisu ice cream🍦🍦🍦! The best sellers that you need to try - Original Tiramisu, Matcha Tiramisu, Strawberry Tiramisu & Chocolate Tiramisu!